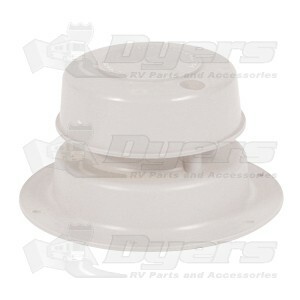 This unique replace-all plumbing vent cap features spring tension top which eliminates the need to replace the entire vent just because of a lost cap top. Fits up to 2" pipe. 1" to 2-3/8" O.D. pipe. Perfect fit for replacing old brittle one.